Happy Thursday, Lovelies! I always really enjoy reviewing hair care products. And I enjoy receiving hair care products to review! I got the Parlor Moisturizing Sea Salt Spray in my April Birchbox. So I wasn’t excited about Parlor Moisturizing Sea Salt Spray. But I tried it. My first time, I LOVED it. I had used it just after I took out my extensions and loved the waves this created in my hair. Here’s is some background on the product before I dive into my thoughts. Part beach wave spray, part leave-in conditioner, this formula gives hair that covetable surfer-girl texture without the drying effects of salt water. Adds volume and creates perfectly undone, beachy waves without drying out your hair. Algae extract – helps rebalance the scalp’s moisture content while protecting, stimulating, and nourishing the scalp with vitamins. Spray evenly on damp or dry hair and style with your fingers. For increased hold, diffuse with hair dryer. Did it deliver what it promised? Yes, my waves were more formed and bigger (I do have a natural wave in my hair). My hair was shiny and soft not crunchy. My hair looked pretty. And all I did was spray this on and scrunch it up. 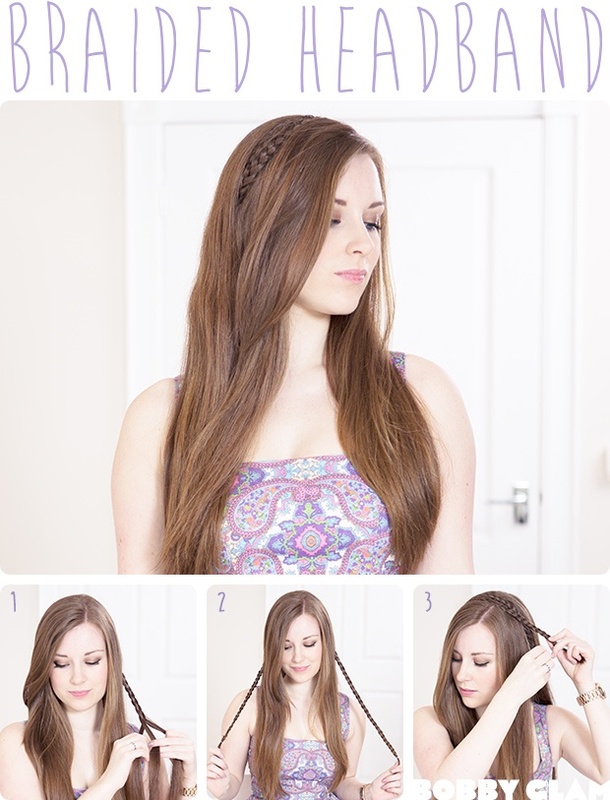 If you don’t wash your hair daily, this also works to hold your second day style. I curled my hair the second day after I used it (many times) and it consistently keeps my hair styled and the curl last longer. One thing I disliked about other sea salt sprays was that it was pretty much impossible to make my hair look good the day after. It would be either stringy or frizzy. Sometimes both. Uncute. Yes! It retails for $24.00 which is not the cheapest styling product but it’s also not the most expensive. Also, you don’t drench your hair with this, so it does last a while. I’m still using my Bichbox sample size and we are already in June. Have you guys used Parlor Moisturizing Sea Salt Spray? What did you think? I totally copied Kassi’s hair, but that girl has serious hair style. AND my hair is finally long enough to successfully tuck it into a headband. Easy peasy! 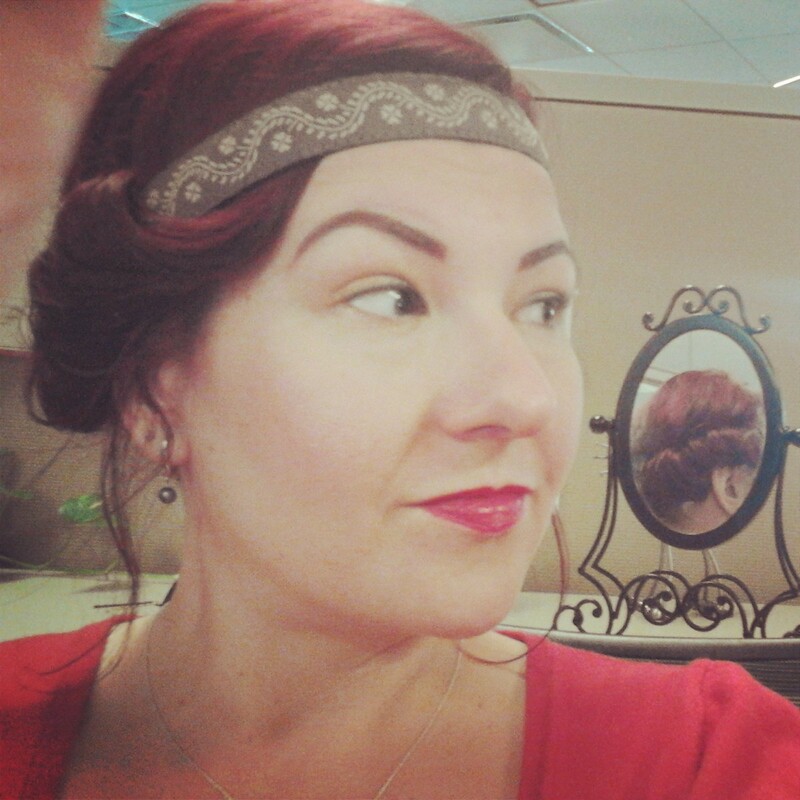 Pro Tip- Check out my create use of the mirror in my work cube! Show us your favorite casual updo!